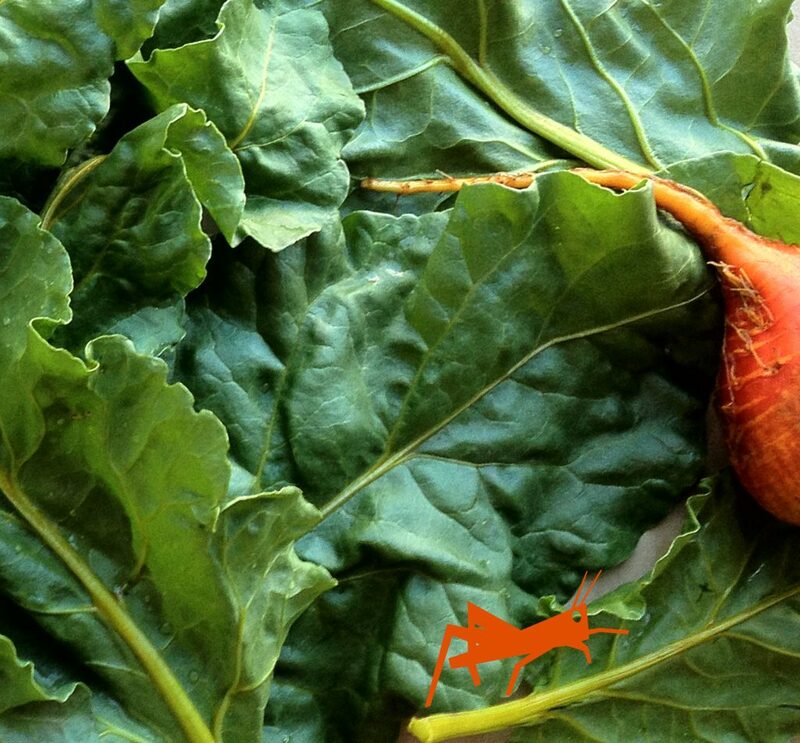 Reminder: We’ll be closed the entire week of Thanksgiving (11/19-11/24). Mon. 11/12, through Sat. 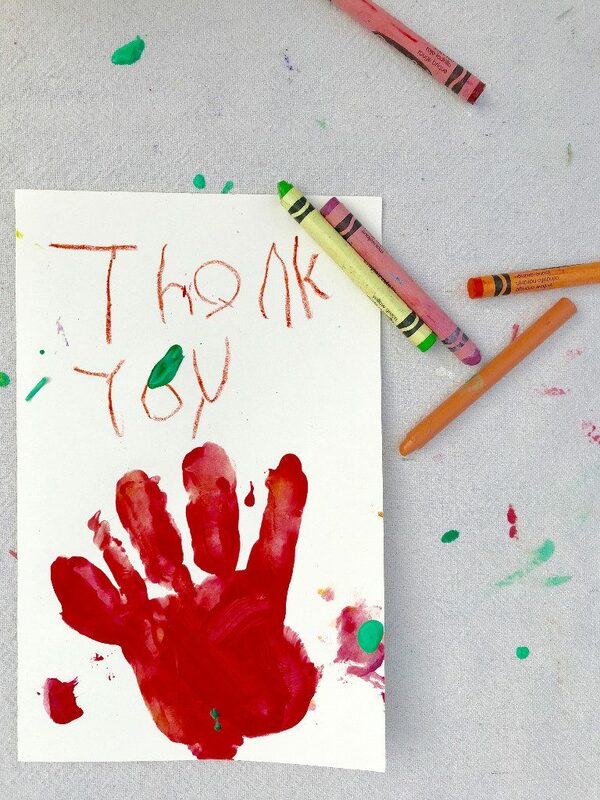 11/17 during Messy Art hours: This week as we say thank you to our veterans and also get ready for Thanksgiving, kids will be invited to paint thank you cards (for anyone they like) during Messy Art hours. Regular painting will be available too, of course. 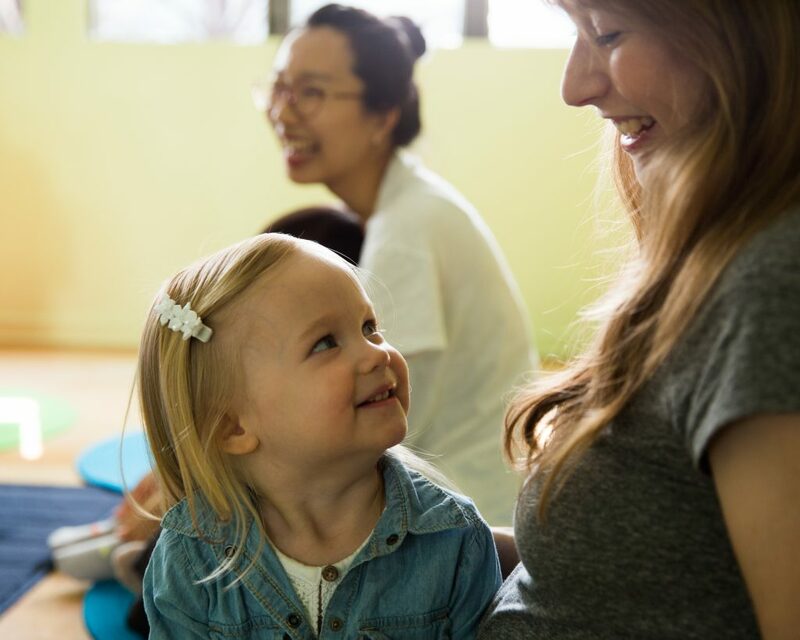 In the PLAY music adaptation of the traditional song, “There’s A Little Wheel ‘a Turnin’ In My Heart,” we use the song as a mirror. After the traditional first verse, we create verses about what’s going on around us in class. This small act of shifting focus from inward (a verse about me) to outward (a verse about you) is a way to touch on empathy. It’s also fun, and easy to try at home. Check out our award-winning PLAY music recordings (including “There’s A Little Wheel”) on SoundCloud. 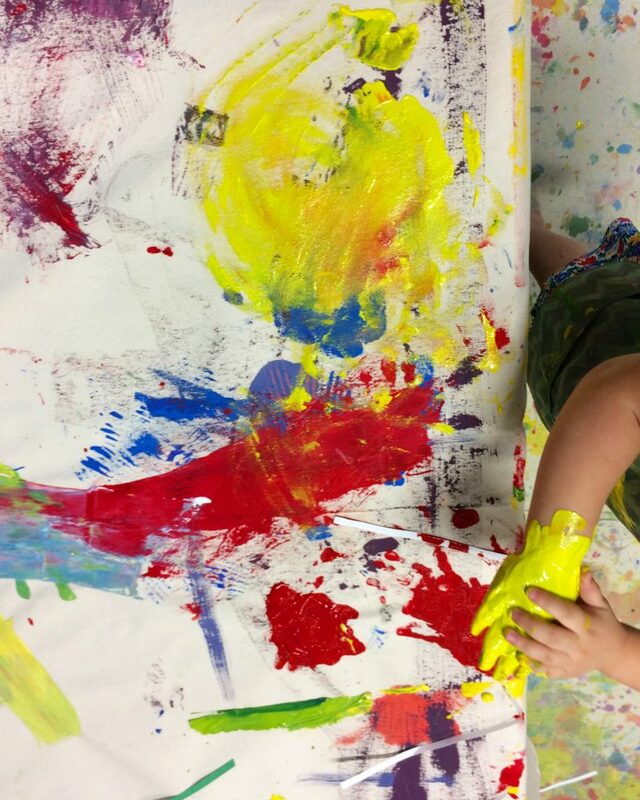 This week in Messy Mixed Media (ages 2-5), we’re serving up some family style collage materials, practicing our tearing skills on some rainbow lettuce, and painting with our forks. 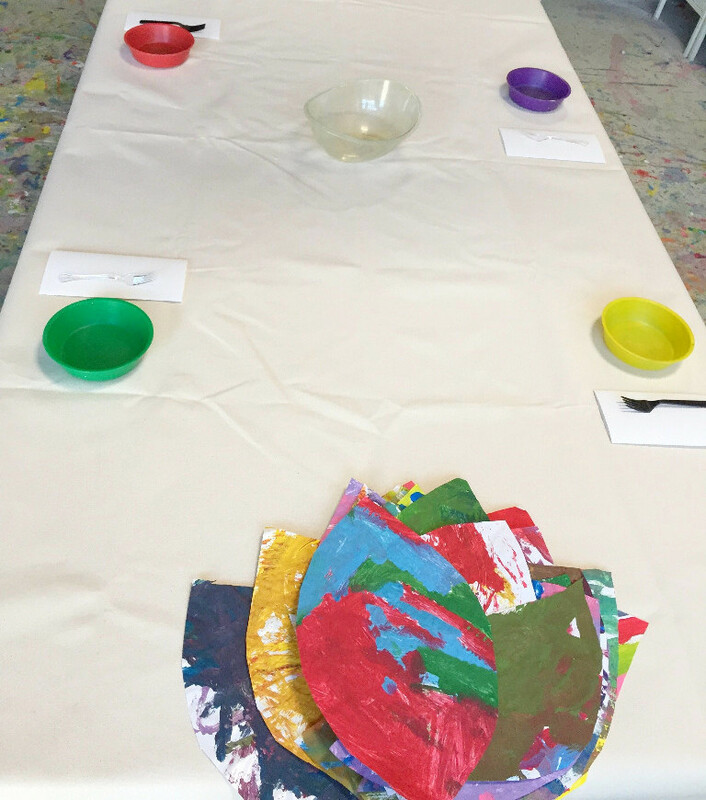 Our workspace: A communal table where painting on the table cloth is allowed (and encouraged). Stories & Art: Thank You, Omu! 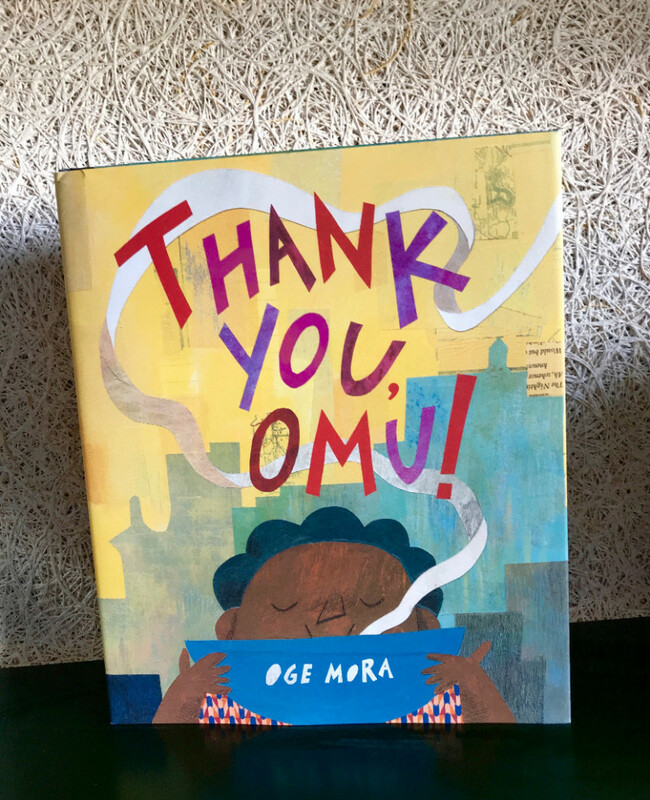 This Thursday, 11/15, Rebecca will be reading Thank You, Omu!—a new book by Oge Mora about community, and the rewards of sharing with others—followed by art time inspired by the book.